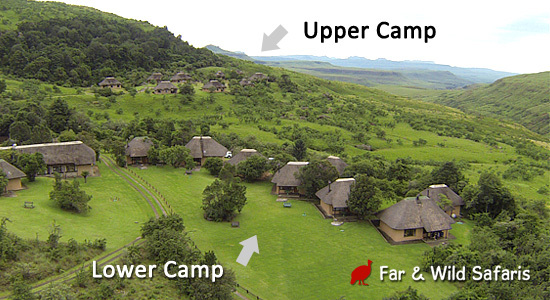 Tendele Camp in the Royal Natal National Park, in KwaZulu-Natal, is ideally located for visitors travelling from Johannesburg or Durban and for International travellers driving between the two cities. 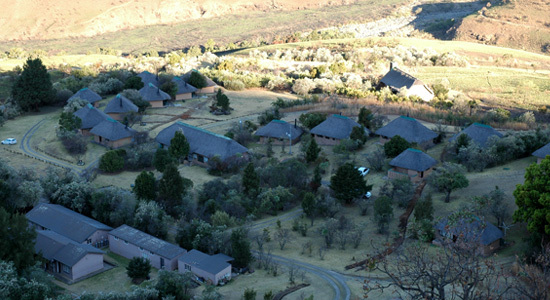 Set close to the Drakensberg escarpment, Thendele Camp is in the uKhahlamba-Drakensberg Park and the Chalets look out at the Amphitheatre, Mont-aux-sources (source of the Orange River which flows into the Atlantic Ocean on South Africa’s west coast and the Tukela River, which empties into the Indian Ocean on our east coast) and the Tugela Falls, possibly the most scenic part of that entire World Heritage site. 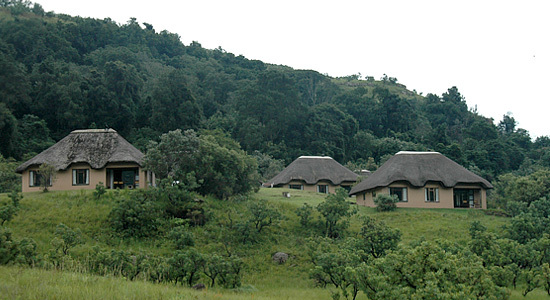 Accessed on tarred roads, some pot-holes so take care, Thendele Camp is an easy 3,5 hours drive from Durban and about 5 hours from Johannesburg. 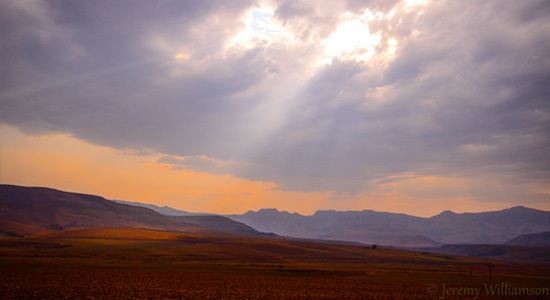 The road from Harrysmith via the Oliviershoek Pass is presently under construction, we suggest driving via the Van Reenen’s Pass. 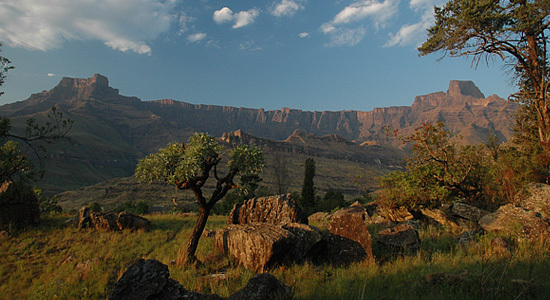 The Drakensberg mountain range was created by the tilting and upliftment of the central plateau of South Africa, the fracturing of the earth and subsequent erosion, creating the sheer rock faces, such as the rather impressive Amphitheatre. 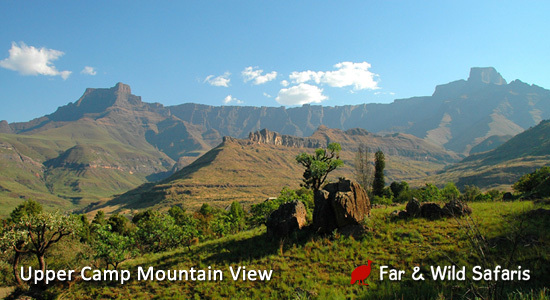 This rock face is just over 5 kms in length with precipitous cliffs rising some 1220 meters. There are some 30 000 San rock paintings found in more than 600 caves and shelters in this 150 km mountainous wonderland which became a World Heritage Site in 2000. The paintings tell the story of the indigenous San peoples, with scenes showing them dancing, fighting, gathering food and hunting. 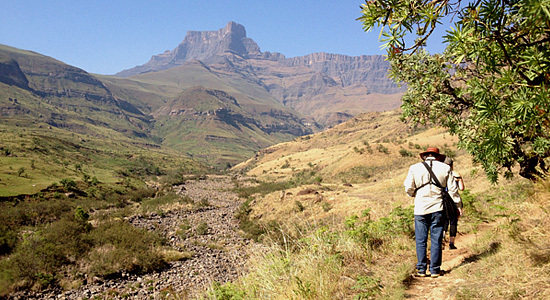 The Royal Natal Park is a nature reserve and hosts a variety of animal and plant species, some unique to this mountain biome. The Lammergeyer or Bearded Vulture being one that finds its home here amongst these lofty crags. 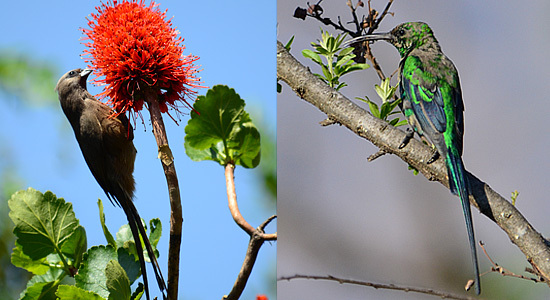 There are two Vulture Restaurant Hides at the Giants Castle Game Reserve where wonderful photo opportunities of these raptors along with Verreaux Eagles, White-backed and Cape Vultures, White-necked Raven and then a few of the Montane species. 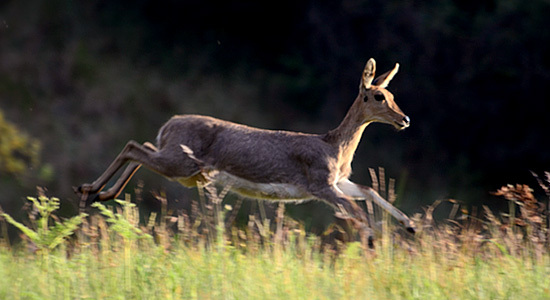 On a recent visit to Thendele, we had Mountain Reedbuck close to our cottage and the birdlife was pretty good too. 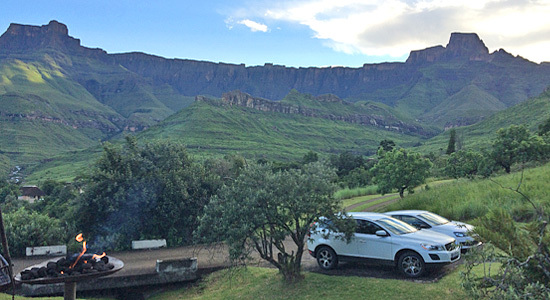 For day visitors who wish to hike the Tugela Gorge route to the base of the falls, they may park their cars where the road turns up to Thendele Camp. No public parking at Tendele for non residents. 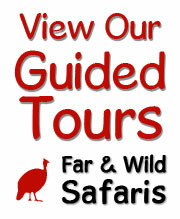 Probably the most popular activity for guests staying at Thendele is the scenic hiking on numerous trails. One can choose from strenuous to fairly easy walks. 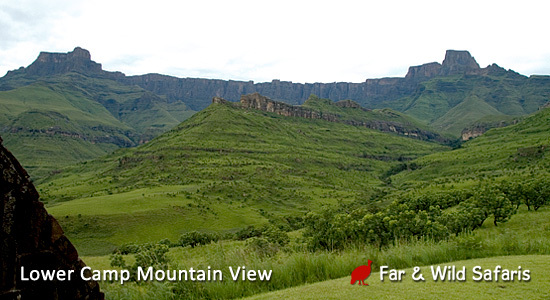 Waterfalls, San Rock Art and real mountains, all here in the Drakensberg. Swim? Try one of the many pools in the river. Don’t forget to sign the Mountain Hike Register. 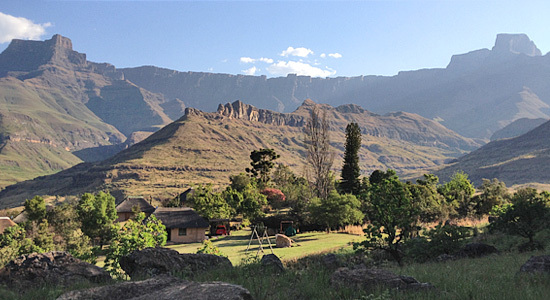 Maps of Thendele Royal Natal National Park are for sale at the camp shops. 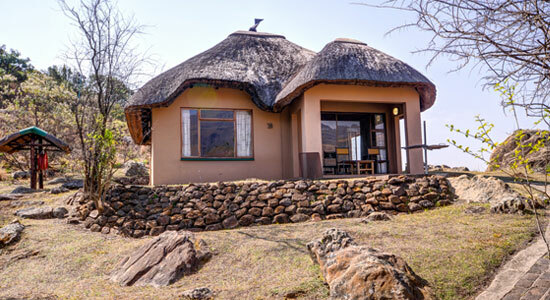 The chalets are brick under thatch which makes them cool in summer and cosy in winter, they are serviced daily with even the braai (barbecue) cleaned. 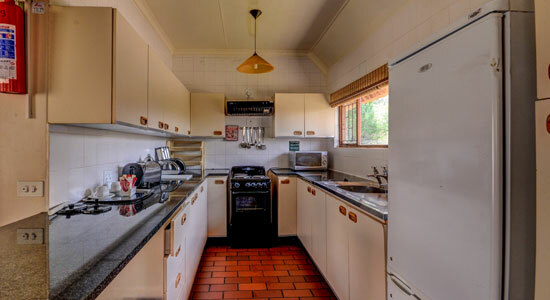 The self-catering Chalets have all necessary basic cutlery, crockery and kitchen utensils. 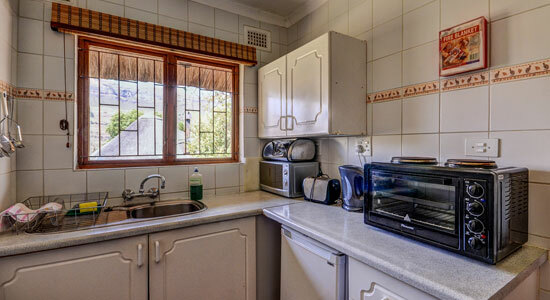 There is a stove, microwave, kettle and toaster. 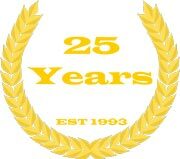 All bed linen and bath towels are supplied. 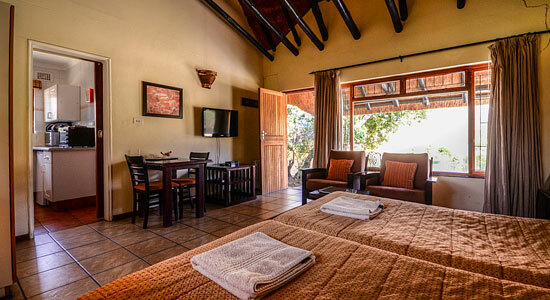 The rooms have TV’s with limited DSTV channels. 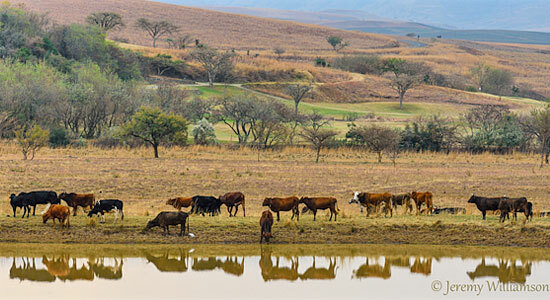 One would needs bring all food and drinks as supplies in the Thendele Camp shop are limited and more for a back-up. There is quite a good selection of drinks including wine, beer and spirits in the shop. The nearest town where supplies may be purchased is Bergville. Should guests arrive after the camp reception has closed, the keys for the chalet will be hanging on a board there, adjacent to your name. Take up occupancy of the chalet and report to reception in the morning. The late gate closing time affords guests not wanting to self-cater to possibly visit a nearby restaurant or hotel for dinner. Remember to have your gate entry documents with you for re-entry. There is 220V Eskom electricity supply at Thendele Camp. 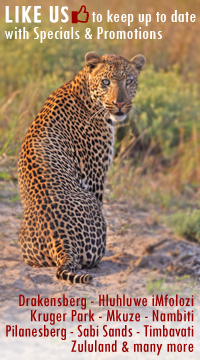 Guests often query as to why the 2 and 4 bed accommodation at Thendele Lower Camp is at a lower tariff than those units in the Thendele Upper Camp. It has nothing to do with the views from the two aspects. All the accommodation units have very similar views of the Amphitheatre massif. 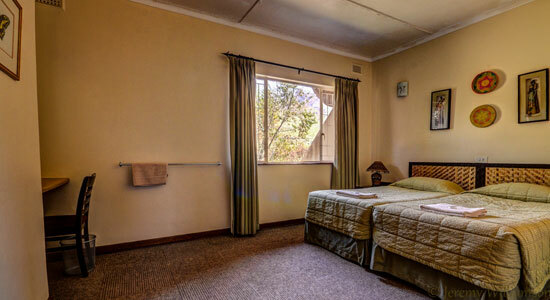 Thendele Lower Camp is the original accommodation that was built within the Royal Natal National Park and is older, the units smaller and the design of the 2 bed chalets quite different from those in the upper camp. 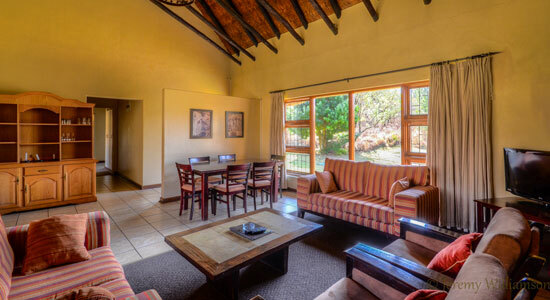 Thendele Lower Camp 2 bed chalets have a lounge / dining area / bedroom all in one, with large sliding view doors looking out at the Amphitheatre. Off this room is the kitchen and from here one is able to access the toilet and separate bathroom. 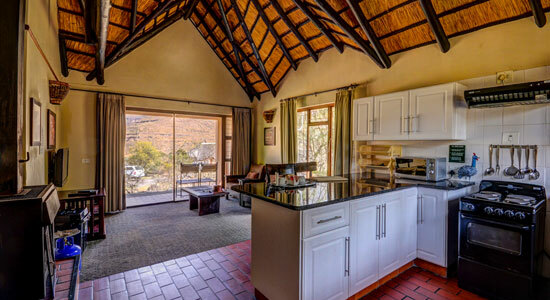 The Thendele Upper Camp 2 bed chalets have an open plan lounge / dining area / kitchen leading out through large glass sliding doors (for the views) onto the veranda with braai. Then there is a separate bedroom with windows facing the Amphitheatre. 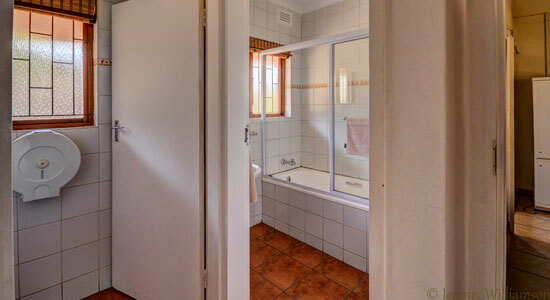 Adjacent to this is the bathroom which has a bath, separate shower cubicle, hand-basin and toilet. Most of the 4 bed chalets have a lounge / dining room, some with an open plan kitchen, whilst other units having separate kitchens. 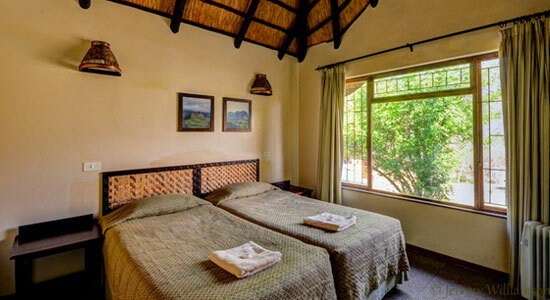 These, as do the 6 bed cottages, all have bathrooms with either a shower over the bath or bath and separate shower, all with a separate toilet. 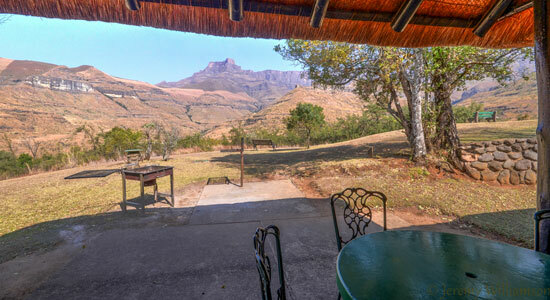 All the chalets at Thendele Camp have verandas with a braai facility (barbecue). 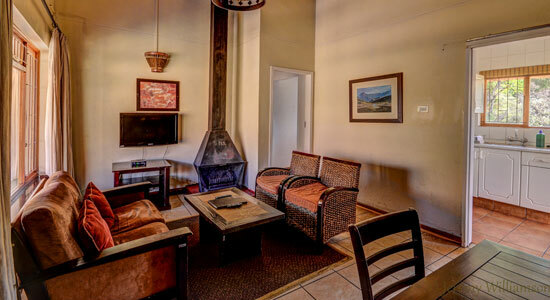 The two 6 bed cottages have a large veranda with a built in braai. 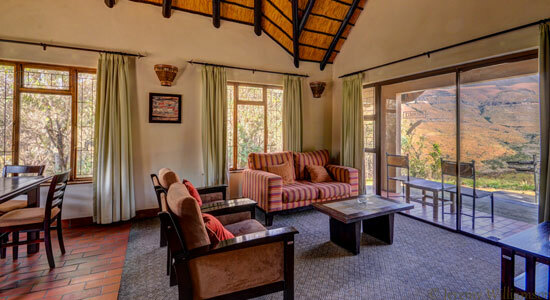 Thendele Lodge is similar, larger and more luxuriously appointed and with all the bedrooms having private bathrooms en suite. The Park authorities have recently provided a single gas burner in each unit for use in case of electricity outages. 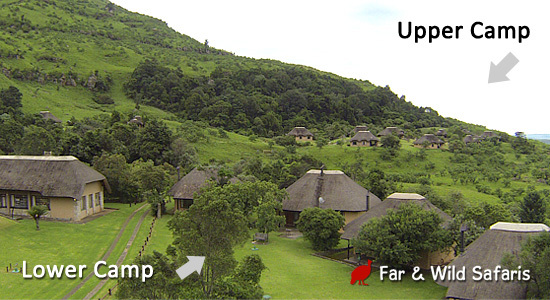 All appliances at Thendele Camp are electric with the camp on main line Eskom power. This has been known to be subjected to load shedding.